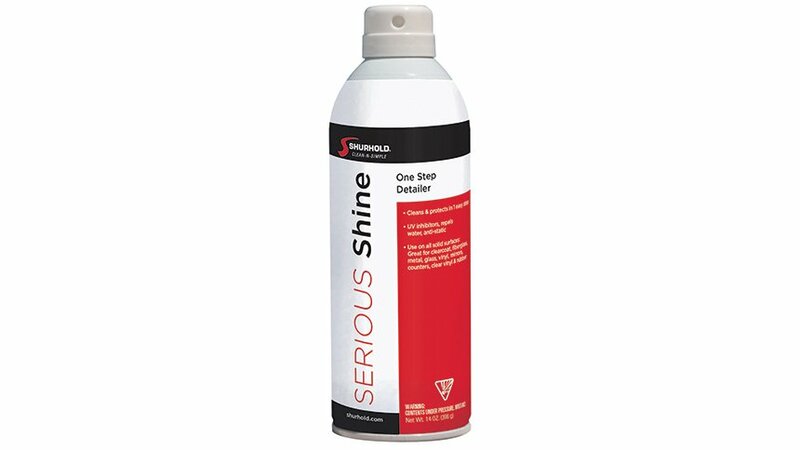 Shurhold Serious Shine is billed as a “one-step detailer.” When the product arrived for testing, I was not exactly sure what to expect. Is it a cleaner or wax? What can I use it on? Does it leave a residue? Do I have to re-wax after use? I have used many Shurhold products over the years, and I felt confident that once I figured out what to use it on, it would work wonders. Basically, Serious Shine cleans anything and everything on the boat. Fiberglass, vinyl seating, stainless steel, electronic screen covers, dashboard, switches, gauges, glass, Formica, granite, leather, sinks, heads, shower doors—you name it, this product makes it shine! Think of this as a general-use product for adding a quick shine to surfaces that need refreshing. Don’t mistake it for a heavy-duty cleaner or combination cleaner and wax. During testing, Serious Shine became a great product to grab when I was going out for the day and I wanted to quickly wipe down the cockpit area, vinyl cushions, freshen up the head, or add a quick shine to areas that needed minor attention. For example, the fiberglass radar arch underneath the canvas is hard to reach, so instead of just using a damp cloth, I sprayed the cloth with Serious Shine and after a few wipes, voilà—it shone like new. The product failed to clean dried-on bird poop, but it did remove black streak marks on the hull and fiberglass. I tried it in the head, including the commode, and polished the Corian countertops in the galley. Both came out looking great! The shower stall looked amazing, too. I used it on some older electronics covers, which looked brand new again. I wiped all the toggle switches; they, too, looked great. 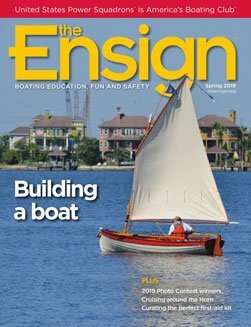 You can use this product on so many things on your boat. I lost track of what I cleaned with it. Serious Shine leaves no greasy residue and contains UV inhibitors. Internet reviews overwhelmingly agree that it’s a great product. I use it all the time now. It’s my go-to product for a quick clean. It can also be used on RVs, on your car and in your home. It’s a product worthy of Shurhold’s reputation. Craig Grosby is a member of Coral Ridge Squadron/8. This spring he and his partner, Angie, recently chartered a 58-foot Fountaine Pajot in the Eastern Caribbean. They visited the Tobago Cays, St. Lucia, Bequia, St. Vincent and Martinique.